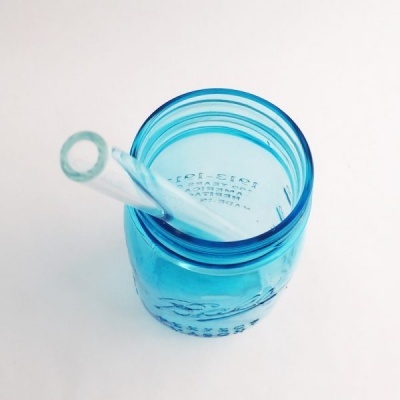 A reusable glass straw by Strawesome. This straw is very light but sturdy at the same time and comes with a lifetime guarantee against breakage. 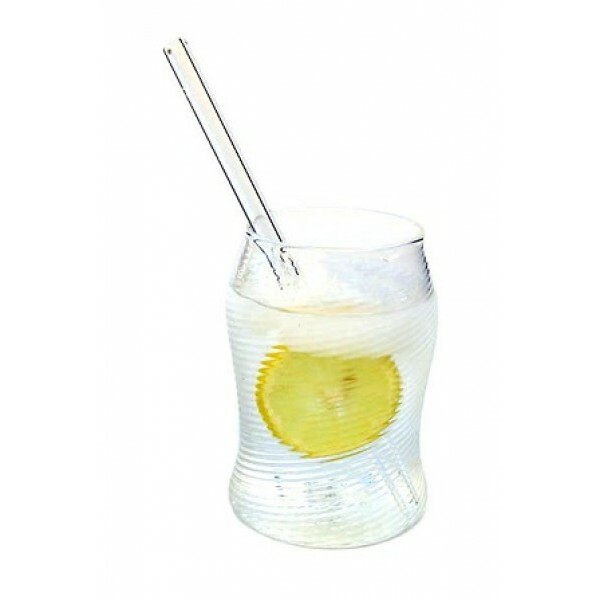 Help eliminate the millions of plastic straws used every day with this reusable glass straw. This straw is very light but sturdy at the same time and comes with a lifetime guarantee by Strawesome against breakage. The standard straws width is similar to that of a typical restaurant straw - great for thin liquids such as water, juice or a slightly slushy pina colada. A smoothie width straw is a must if you make thick, healthy smoothies. If you've ever tried to drink your smoothie straight from the glass, you'll understand why this straw is important at keeping away "smoothie mustache". - Length 20cm / 8"
- This straw is made in the USA and it's awesome. The super fancy (aka borosilicate) glass is so amazing, it can withstand temperatures below freezing and up to 1500 degrees Fahrenheit! You'll even find this stuff in the windows of the space shuttle! It's also known as the same glass used in Pyrex¨, but that's not nearly as exciting as space shuttle glass.